The fight against money laundering, drug trafficking, illegal immigration, cyber crime, and the promotion of the enhancement of judicial and police cooperation in criminal matters have been at the core of the G8's actions in this field since the 1990s. 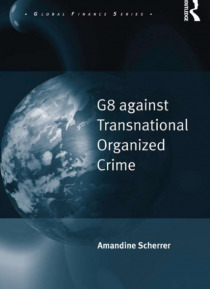 This book sheds light on the nature, structure and modus operandi of the G8's specific expertise on transnational organized crime from a sociologic… al approach in order to understand the elaboration, production and diffusion of international norms and standards. It provides a detailed analysis of an under-researched aspect of international politics: the intensification of expert-level exchanges on the international stage over the enhanced cooperation against transnational organized crime that has led to an impressive elaboration of best practices and soft law recommendations. Very few studies have focused on the experts who determine these: who they are, what their socio-professional background is, and the nature and impact of their collective work in the global fight against organized crime.